This is item 29978 from Born Pretty Store. 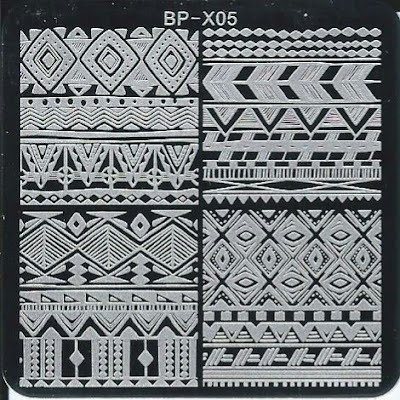 This particular plate is called the Ethnic Design Lines. I love these designs. I usually gravitate towards floral. 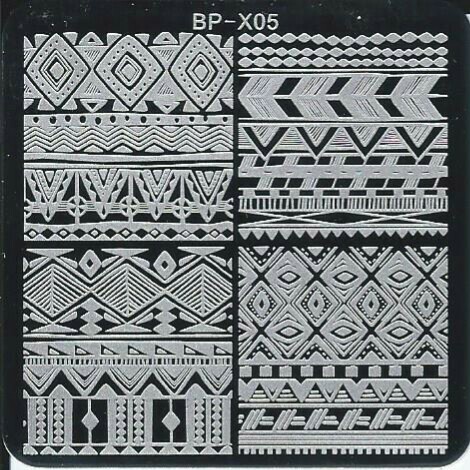 I had no idea I was always buying floral and frilly stamping plates until I did an inventory, and was like, what the heck? Needless to say, I'm on a floral/frilly stamping plate buy ban right now. This plate was etched really well. I used every portion of this plate and had great pick up. 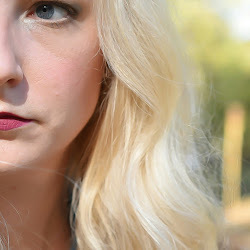 For this look, I used Madam Glam Ballerina (review) as my base. I then stamped using M Polish Bronze and Hottie. I love the fall vibes I got going on here. I love how that bronze gives the whole mani depth with the shimmer and shine. This plate is adorable! This is a great fall mani! I love your color choices! 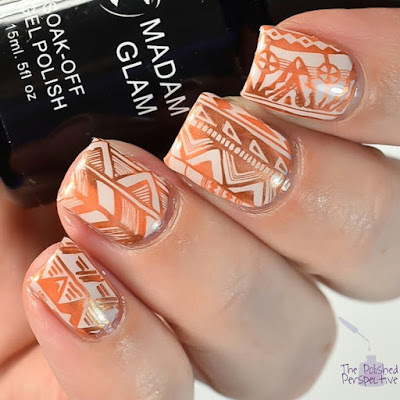 The color of the M Polish stamping polish is wonderful! I love these with the bronze. So pretty. 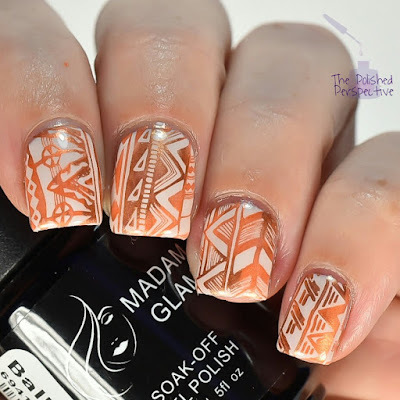 That base was perfect for the stamping. Great color choices! Gorgeous, that bronze was the perfect choice! !